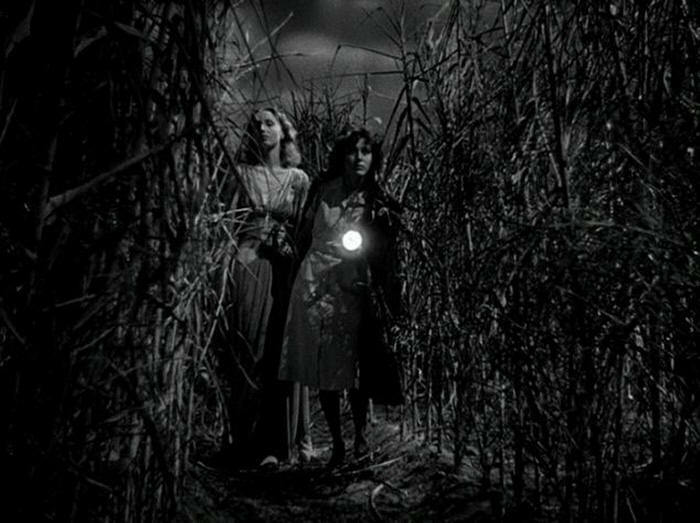 In Jacques Tourneur‘s I Walked with a Zombie the monstrous-feminine is represented by a female zombie. 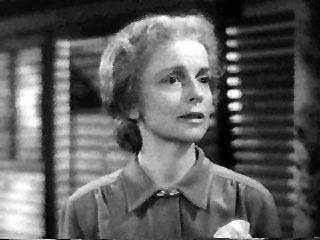 The lovely Christine Gordon plays a brain-dead vegetable who can walk about and follow simple commands. 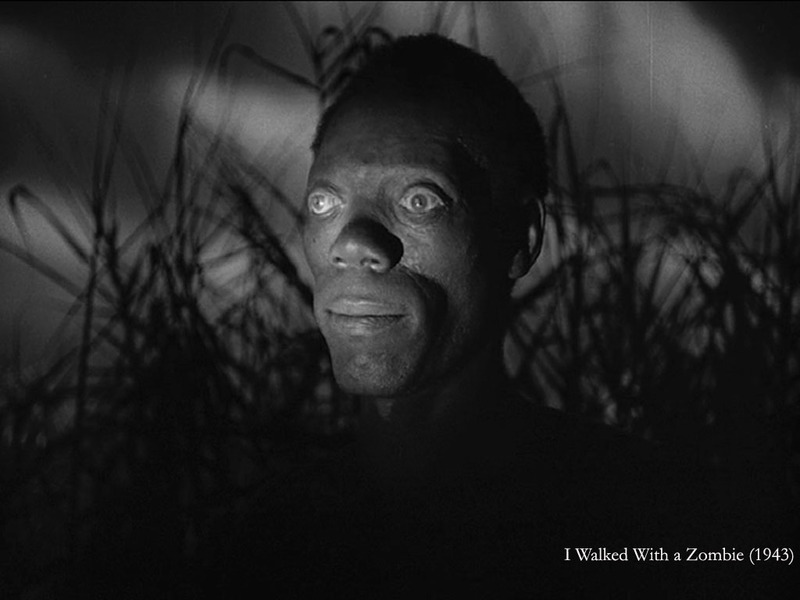 When her live-in nurse, played by Frances Dee, takes her patient to a local voodoo gathering in hopes to cure her the local descendants of the slaves that were brought over to work the sugar plantations believe the woman to be a zombie and desire her to return to the gathering to be purified. Durring the corse of the movie, the audience discovers that the woman had planned to leave her husband and run off with his brother before her illness. 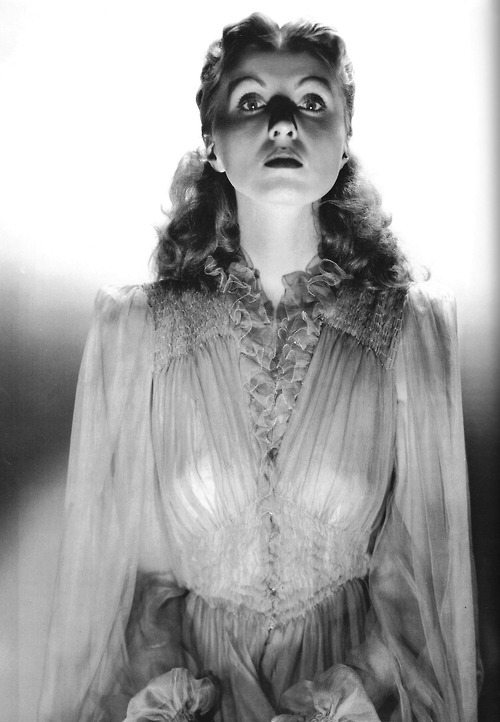 In Horror, Brigid Cherry explains Barbara Creed’s argument that the monstrous-feminine in horror movies “represents the failure of sexual repression to contain women” (112) and says that many horror films represent “abjection in the form of bodies without stable boundaries” (113). In this case the woman’s body is neither living nor dead. She represents abjection and the monsterous-feminine. Cherry also explains that Creed seems to favor “purification of the abject” (120), which is echoed in the voodoo worshiper’s desire to purify the woman they se as abject. According to Cherry, “Creed lists three ways in which horror films foreground abjection: with images of abjection, boundary crossing in the construction of the monster, and the construction of the maternal figure as abject” (115). This movie accomplishes all three objectives. 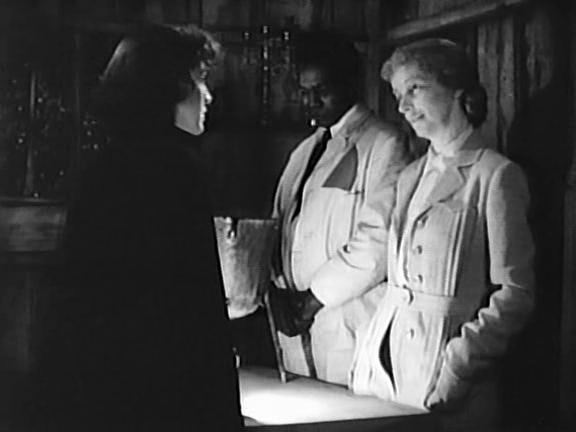 The third occurs near the end of the movie when we discover that the mother of the two brothers, played by Edith Barrett, is not only working with the voodoo priest, but she actually had the woman killed and turned into a zombie because she did not like the way the woman was tearing apart her family.